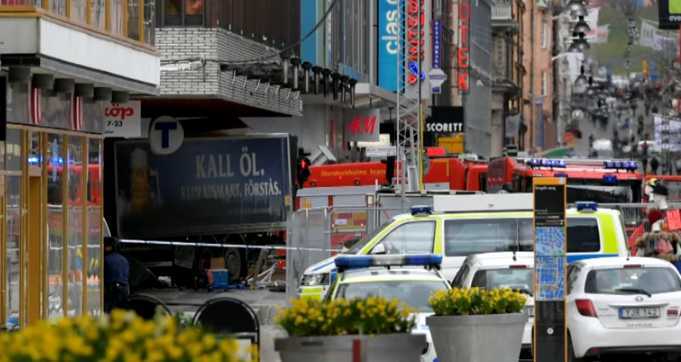 (Newsweek) — Swedish police have arrested a man they suspect rammed a hijacked beer delivery truck into a crowd in central Stockholm on Friday, killing four people and wounding more than a dozen in what they called a terror crime. While police declined to comment on the identity or possible motive of the man, who was detained in a northern Stockholm suburb, Swedish public radio, citing unnamed sources, said he was from Uzbekistan. “The person in question has been arrested as the culprit … in this case the driver,” police spokesman Lars Bystrom said of the attack, adding that the authorities were not ruling out the possibility that he had accomplices, although only one person had been taken into custody.